This is an original unframed artwork, a watercolour on Vellum paper. 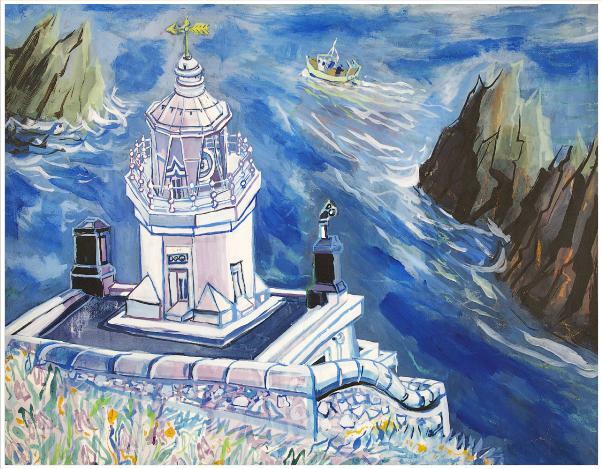 It is of Sark lighthouse from a series commissioned by Trinity House in the early 1980's. Accompanying this sale, is a Bio, two of his books and a set of postcards, see below.